Congressman Dave Loebsack, in climbing gear, visited a Crown Castle site today in Iowa. The event served as a springboard for reintroduction of vital workforce development legislation. U.S. Congressman Dave Loebsack (D-IA) today conducted a site visit to a communications tower located in Le Claire, Iowa. 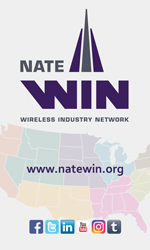 The tour was facilitated by representatives from the National Association of Tower Erectors (NATE), the Association’s Wireless Industry Network (WIN) and Crown Castle. 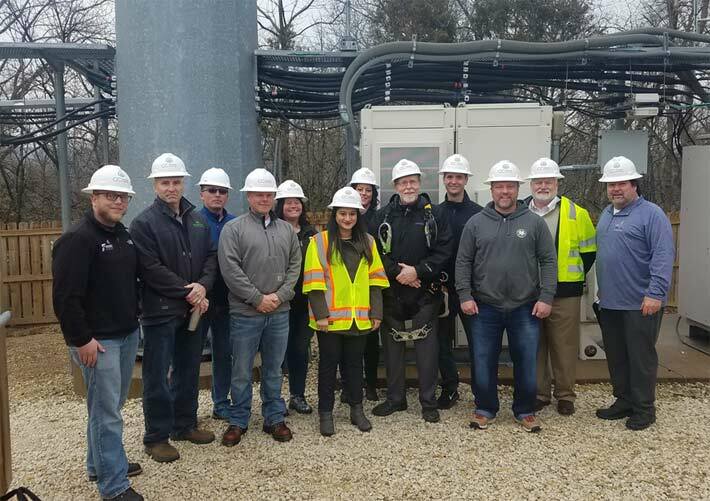 The site visit was held at a Crown Castle-owned monopole cell tower site that is conveniently located in Congressman Loebsack’s Congressional District. 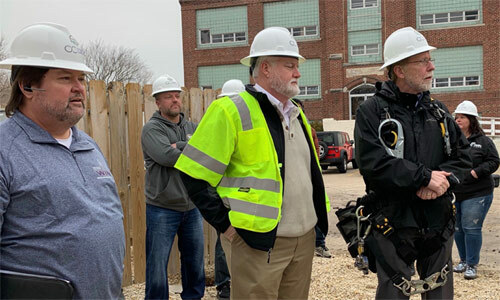 “It was an honor to host Congressman Loeback today at the Le Claire tower site,” stated NATE WIN Iowa State Liaison Pete Hagstrom from Finish Tower. 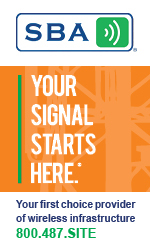 On behalf of NATE’s twelve member companies in the state of Iowa, we appreciate the leadership role Rep. Loebsack is playing in Congress to promote workforce development initiatives that our critical to the industry’s growth,” added Hagstrom.